With her third release, Birgit's voice hooks a listener in a way that compels admiration and applause. Her soulful lyrics and haunting melodies have her poised on the edge of a breakout in the Canadian music scene. Her music has drawn comparisons to Fleetwood Mac's more acoustic leanings, with traces of Shaun Colvin, Joni Mitchell and Judy Collins. "Birgit’s voice touches a deep vein of longing and beauty for the inexpressible which arrests and nourishes the heart of her listeners. 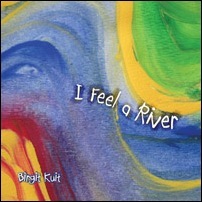 Her singing brings healing balm to the hungry soul"
"The songs on Birgit’s CD offer a sweet balance of worldly wisdom, romantic flair and social insight…very ably delivered by one of the finest female singers I’ve heard in a while. Birgit’s expressive vocals embrace the touch & technique of a wide range of fine artists…from Fleetwood Mac’s more acoustic leanings, to traces of Shaun Colvin, Joni Mitchell, Judy Collins….Likewise, Birgit’s inventive guitar work is also exceptionally-melodic, accurate and percussively-precise." "Birgit’s music is pure and honest and thankfully free from cynicism in a world that needs more hope. She writes songs that make you feel glad to be alive"
"This gal has a deadly voice and lyrics that will truly charm you"
Travelling Man by Acoustic Earth. Absolutely stunning. Music from a truly mystical Isle. Recorded live at 3 Mills Studio in London, Travelling Man is the product of three years planning, experimenting and absorbing the Celtic spirit of Turlough O’Carolan’s music. The album doesn’t recreate traditional versions of his classic tunes but seeks to find a new way of telling the story. Six new compositions by Pete are his response to the powerful moods created by Carolan’s music. King of Sorrow, featuring Lorna Want on vocals, reflects on the Carolan story and was inspired by Brian Keenan’s brilliant imagining of the life of Carolan in his book Turlough. Lucy Hare on double bass also joins Lorna and Acoustic Earth on this track.Lorna also adds her voice to the track Lamentation, a reworking of the Carolan tune The Clergy’s Lamentation. For more info please visit the official homepage. Bob Brozman is king of the Hawaiian slide guitar and the world’s leading player of National steel guitars. He has spent a lifetime dedicated to playing, researching and recording music from numerous islands around the world, and on Six Days In Down he collaborates with two highly acclaimed traditional musicians from Ireland to bring his uniquely international sound to traditional melodies. 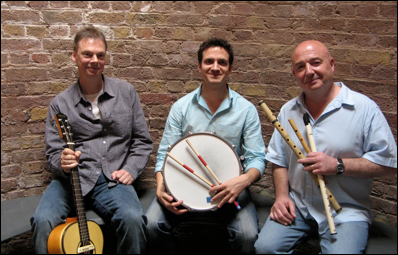 A composer, arranger and musician of world class renown, John McSherry was a founding member of top trad band Lúnasa and during his career he has taken the art of uilleann piping to new heights. His critically-acclaimed solo debut, Soma, was released earlier this year. Dónal O’Connor is from a musical legacy of five generations of fiddle players and has toured extensively with bands such as At First Light, which also includes McSherry in its accomplished line-up. He is widely regarded as one of the best fiddle players of his generation. This album featuring some wonderful traditional tunes that have been arranged by the three musicians such as ‘Cailleach A Shúsa’ (‘The Hag In The Blanket’), which dates to 1850 and is about the Cailleach, a powerful hag in Irish mythology who rules the winter months between Samhain and Beltane. A well-known standard, ‘Bean An Fhir Ruaidh’ (‘The Red Haired Man’s Wife’) is a story of unrequited love for a married woman and this version features two Kona Hawaiian guitars. ‘A Mháire Bruineall’ is a song from County Donegal that was originally composed by Tadhg O Tiománaidhe in the mid-1700s, in an effort to woo back his true love, and here features the wonderfully haunting vocals of Stephanie Makem. As well as beautifully arranged traditional pieces, this album also features several original compositions. ‘Beer Belly Dancing’ features Irish phrasing played in an Arabic mode to create a funky musical mix and ‘Brelydian uses the Lydian mode, typical of Malian music. ‘Róise Na bhFonn’ (‘Tuneful Rose’) is a slow air that was composed by Dónal in homage to his grandmother Rose who was his first fiddle teacher. Recorded in six days in Downpatrick in the North of Ireland, this album is bursting with fresh and passonate music that draws beautiful soundscapes of unusual timbres and rhythms that support the traditional melodies. 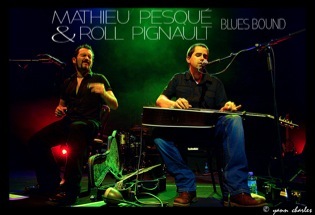 Mathieu Pesqué is a great musician , as powerful performing the blues as discreet and youthful in life... mystery of the blues.... Alone on stage with his Martin guitar , Mathieu Pesqué sets the record straight , a kick in the pants!! With his mastered finger-picking, deep feeling , a promising voice and his sense of humor...He offers a class repertoire of folk-blues. 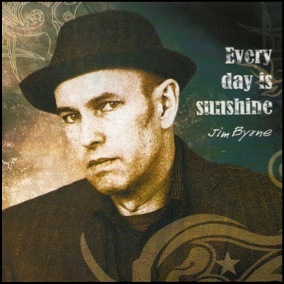 Glasgow singer/songwriter Jim Byrne follows up his debut release, “On These Dark Nights” with this eclectic collection of ten beautiful, atmospheric songs influenced by American, English and Celtic folk, country and pre-war blues music. A slower American based finger picking combined with a British/Celtic sound. Some very different production techniques used on a few songs but still well worth a listen. Byrne really shows his guitar playing on “Don’t go pissin in the wind”, a true gem of the album. Look out for this CD. Released date is the 25th of October 2010. 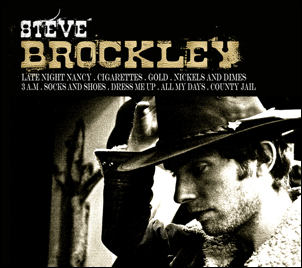 Steve Brockley, Canadian born folk artists who is causing quiet a stir in the Canadian folk music scene. His self-entitled debut album is available now. His major influences are Townes Van Zandt, Hank Williams, Bob Dylan, Woody Guthrie and John Hurt. Steve sums up his music and group: Leon Power’s greasy beats combined with Kevin Bertam’s percussive double base swagger make a low-down dirty groove while Steve Brockley’s stumble-picking guitar tactics and mellow whiskey-blend vocals mix with a song writing style reminiscent of Hank Williams or Mississippi John Hurt. Smooth finger picking combined with exquisite vocals, this is one great album. Check it out now. A very new fresh sound. Stimulating guitar and vocal work. Rory Garforth & Adam Myers are the songwriting partnership at the helm of a folk/acoustic collective, involving musicians from all over the UK. 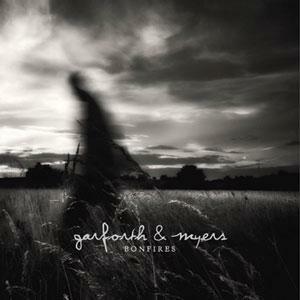 With their base in South Yorkshire Garforth & Myers provide "lushly brewed melodious folk hypnosis; a multitude of and a masterclass in well crafted songs and understated delivery". After initially meeting whilst involved separate musical projects Rory & Adam started working on material together, this would form the basis of a selection of demo's which attracted the attention of producers Keith Angel and Andy Seward; perhaps best known for their work with Jon Boden , Kate Rusby, Martin Simpson, John Tams, Chris Drever et al… Work started on putting together a self-financed album after months of writing, planning and preparation and features the talents of Devon based Nick Wyke and Becki Driscoll layering up lush string arrangements which has become integral to the sound. With additions from Magazine's Dave Formula on electric piano and Hammond, Andy Seward on Double Bass and Keith Angel on Drums and percussion the result has been one that all involved can be proud, of reminiscent of artists such as Pentangle or John Martyn. Last year we did a review of a new London based artist Sean Taylor and his Calcutta Grove album. 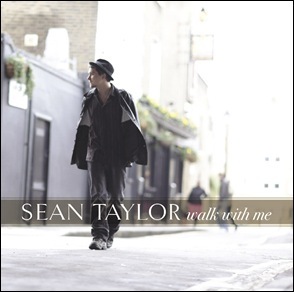 Brilliantly inspired by many of the late great poets, he’s been busy recording and has produced his most mature album to date, Walk With Me. Recorded in the studio of Trevor Hutchison (WaterBoys), Dublin during a weeklong session. Sean’s joined by Dave Hingerty (The Frames), Michael Buckley, Vyvienne Long (Damian Rice), Justin Carroll and BJ Cole. Walk With Me is one very complete album, rich with feeling, soul and life. Perfect Candlelight, Walk With Me, Love Hate On hold some very original piano work. There’s also a superb and very new approach to the traditional song ,She Moved Through The Fair. Bordering on psychedelic and funky. The album is wrapped up and beautifully presented in very original cd case. It’s been a long time since we have received an album like Signe Tollefsen’s self titled debut album. Breaking through the commercial norm Signe Tollefsen delivers pure feeling, heart and soul all rolled into one. Uplifting and full of energy this is one album you can’t miss out on. With the rhythmic Dave Brubeck Quartet baselines in History Class through to the ballads like This is it, it’s simply amazing. Signe Tollefsen is a half-American singer/songwriter that moved from the UK to Holland to study music at the Amsterdam Conservatory in 2004. Was it ‘An American in Paris’? No, this is about an American in Amsterdam. But the story has elements of a fairy tale too. Picture this; an American tourist in Amsterdam gets bored with staring at the wallpaper of his hotel room and decides to take a stroll through the famous Vondelpark where a young female singer/songwriter is just finishing the last song of her ‘open-air concert’. All he hears is the last verse of the last song. Nevertheless he is very impressed and takes a recording of the young woman home. Friends and music industry professionals listen on his request to the tape and the verdict is unanimous: ‘beautiful, and an enormous potential’. The American invites Signe Tollefsen to Los Angeles to record a number of songs in Linda Perry’s studio. Two of these recordings, You, Me & the Brewers and My Old Man are included on Signe Tollefsen’s CoraZong debut album. You, Me & the Brewers features legendary violinist Jerry Goodman, famous for his work with The Flock and John McLaughlin’s Mahavishnu Orchestra. Great to see Andrew Vladeck releasing more great music. He’s currently working on a new album and will be backed up by a European tour as close as September 2010. Stay tuned Nuremburg,Germany as this will be his first stop. If you ask him, New York Native Andrew Vladeck will tell you it’s all about the words. Yet it’s his modern take on old-time instrumentation that first calls attention. A Fender Twin amplifier doesn’t come to mind when one thinks of a banjo, but in his quest to escape the folky comfort zone, Andrew has hotwired his way into a truly individual style. A well-known musician in the alt-folk scene in NYC, Andrew’s unique sound is captured on the upcoming End Up Records release “The Wheel.“ Produced by Kyle Fischer (Rainer Maria) and mixed by Dave Schiffman (Johnny Cash, Mars Volta), with appearances by Caithlin De Marrais and Lara Meyerratken (Ben Lee), the album includes the caustic “The Songs you Inspire,“ which won 1st Place in the Int’l Songwriting Competition. A former Urban Park Ranger, Andrew was fascinated by the interplay of nature with Gotham, and the edges where the two meet. Andrew is similarly inclined towards music, striving to blend his affection for the ante-bellum with the contemporary. The result is folk and indie rock reconfigured—a “new wave” of folk that is distinctly American sounding. Still, Andrew is first and foremost a wordsmith, whose sparkling, sharp-edged approach sets his often dark and hilariously ironic lyrics over sparse and tasteful instrumentation. 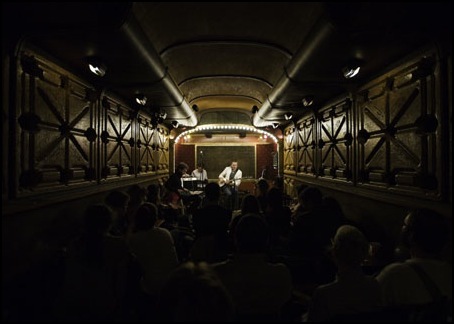 Andrew was featured on BBC’s The World, and was voted NYC Artist of the Month in The Deli Magazine. He’s also a founding member of the upcoming indie folk quintet The Honey Brothers, and is a regular contributor to the NYC-based folk collective, Balthrop, Alabama. 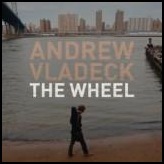 The Wheel is the first full-length release by Vladeck since 2006. 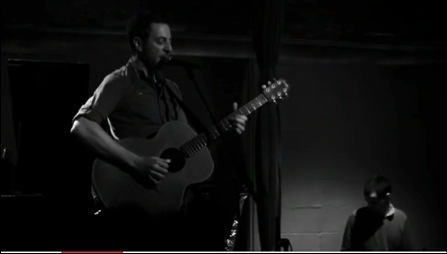 He will be touring extensively throughout the summer and fall in support of the new record. Soulful, poignant and delicate are just some of the words being used to describe the music of West country-based singer/songwriter Diana Johnstone. Born in Plymouth, Devon, Diana began singing and playing guitar in her late teens at the famous Folk Cottage in Mitchell, Cornwall, performing alongside Mike Silver, Clive Palmer and Ralph McTell. There she met and subsequently married multi-instrumentalist, Davey Johnstone (Magna Carta, Noel Murphy, Joan Armatrading.) In 1972, Davey was asked to join the Elton John band just as the Rocket Mans career was heading into the stratosphere. For Davey, Diana and their son Tam the next few years would be spent in a whirlwind of whistle stop tours and incredible celebrity encounters: Groucho Marx at the Beverly Hills hotel, Stevie Wonder ..boards aboard the Starship (Eltons private plane), Gracie Fields, John Lennon During this time, Davey recorded a solo album for Eltons Rocket Records label with legendary record producer Gus Dudgeon at the helm. 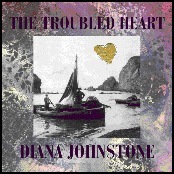 The album, Smiling Face (now remastered and released on Sound City records) features three songs co-written by Diana. She also sings lead vocals on the track A Lovely Day (as featured in playwright Willie Russells Daughters of Albion - Yorkshire TV, 1977.) When Diana and Davey divorced in the mid-1970s, Diana took up a career in film and TV set design (working with director Nic Roeg and actor Tony Curtis among others), before coming back to music in the late 1990s. On moving to the Bath area she began writing and performing her own material again. Her unique style of playing combined with her thoughtful lyrics and mesmerizing voice has already attracted a keen following. This, along with her well-received live performances has ensured that Diana Johnstone is definitely one to watch among the new breed of innovative female singer/songwriters. Dianas debut CD, Learning to Walk is available now.